OI Expert (OIX) is a Professional Program presented in 7 distinct Master Classes. Each class covers a different topic designed to develop specific skills and understandings. OIX Classes 1-3 provide the tools for stabilizing your clients. OIX Classes 4-7 move you beyond technique-driven interventions into supporting your client’s natural, innate process of reorganization and healing. For information about CE credits visit the CE Credits page. While each Master Class can be completed individually, they were developed to be taken in succession as a comprehensive course of study, with the material of each class building on the wisdom of the previous one. To get the complete experience of this groundbreaking protocol, start with OIX 1 — Shifting Paradigms 2.0. Save $500 by buying all 7 OI Expert Master Classes in a bundle. You will learn to take into account the ”What’s Wrong Attention,” or the “negativity bias” (Dr. Rick Hanson), which causes the mind, unconsciously, to disproportionately see and respond to what’s wrong. This creates heightened states of intensity, both subtle and not so subtle, which lead to an addiction to intensity due to the well-known effects of negative reinforcement. OI’s “implicit exposure” protocol offers tools that will alter the current landscape of trauma therapy, and therapy at large, to work more gently and in a way that is truly safe for clients. In OI, “Orientation” has a specific meaning and is a specific skill to be learned: “connecting to the environment through the senses.” This skill is an essential initial condition because of the way it soothes the client’s inner state (the neurobiology) and builds ego-strength. One way we understand OI is as an interpersonal biofeedback process. Our skillfully timed interactions catalyze the organism’s own self-organizing tendencies which otherwise would remain latent. These self-organizing tendencies appear as “states” to be subtly reinforced, and range from large and relatively obvious (like phases of Fight, Flight or Freeze), to more subtle (like those indicated by differing breath qualities, activity of the eyes, or changes in skin coloration). 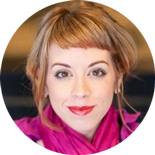 In this Master Class, you will learn to recognize subtle signs of true self-organization. Identify the influence of negativity bias, the ”What’s Wrong Attention,” on the mind. Identify signs of heightened states of intensity which lead to the addiction to negativity bias. Identify the impact of positive reinforcement on the clinical process. Describe how OI’s “implicit exposure” protocol offers tools that would alter trauma therapy and therapy at large. Apply OI-specific orientation skills in connecting clients to the environment through sense perception. Explain how OI-specific orientation soothes the client’s inner state and builds ego-strength. Describe the interpersonal biofeedback process between client and therapist. Identify the subtle signs of true self-organization of the client’s system as a whole. Visual imagery for humans plays an inordinately large role, not only for orientation, but for complex information processing. “Image to Archetype” is essential for OI work because so many clients suffer the effects of Freeze and states of dissociation. Imagery is the key channel for work in these states and getting clients out of Freeze. A key tool for Carl Jung was “active imagination,” in which the experience of spontaneous imagery development occurs. “Active imagination” is an important OI skill for working with your clients as they make the necessary shift from learning to gain control over their states (Phase 2) to learning to allow their natural biological system to function without interference. Clients develop ease and flow with the feeling of letting go of control (Phase 3). It is in Phase 3 where true Self-regulation (affect regulation) is established. Symptoms disappear, but more importantly, resilience, aliveness and a sense of meaning come to prominence. “Priming” is a key OI concept for successfully working with the subtle body movements. In particular, movement programs associated with Fight and Flight states can be subtly elicited through the therapist’s artful use of language to evoke active imagery. Such imagery can strengthen, or potentiate, the experience of inner impulse which can allow the client to attain their in-the-moment ideal learning threshold. The consistent attainment of these ideal thresholds is what recalibrates nervous system efficiency, and is the essence of the clinical effectiveness of Organic Intelligence. Describe the role visual imagery plays in information processing. Describe how imagery can help clients out of freeze or states of dissociation. Explain the importance of the client’s movement from Phase 2 to Phase 3 in the OI Clinical Protocol. Identify 2 differences between Phase 2 and Phase 3 in the OI Clinical Protocol. Explain what can help lead to affect regulation (Self-regulation) in Phase 3 of the OI Clinical Protocol. Explain the relationship between affect regulation, letting go of control, and resilience. Utilize Carl Jung’s active imagination as a vital skill for moving your clients from Phase 2 to Phase 3 in the OI Clinical Protocol. Describe the role of subtle body movements in working with trauma. Describe the role of thresholds in the OI Clinical Protocol. Describe 3 ways of artful use of language to evoke active imagery. Explain how the consistent attainment of your client’s ideal thresholds recalibrates nervous system efficiency. In Phase 2 you will learn how to accurately map a client’s state, which then determines what intervention to use, and when. In this Master Class you will learn that what is transformative for clients must be based in the neurophysiology. The neurophysiology is a complex system that operates according to well-known patterns of phase (state) transitions, which OI applies to all clinical work. Resulting in improved biological efficiency, OI work thus improves all other areas of experience: emotion, cognition, sense of agency, meaningfulness, relationships, etc. The understanding of phase transitions in complex systems becomes especially relevant in the context of therapy. Therapy apart from OI has not yet integrated, in theory and practice, the new understandings of self-organizing biological systems. Phase 2 tools comprise the vast majority of what therapy has to offer, without OI’s unique appreciation of the Phase 2 to Phase 3 transitions. 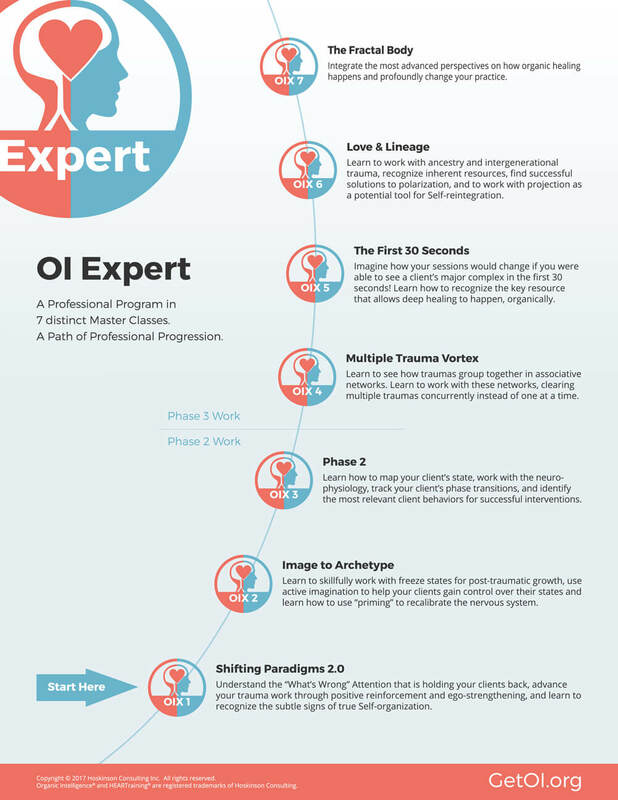 OI sees the value of Phase 2 tools for clients’ rapid stabilization, then takes the next step to Phase 3. OI practitioners learn to see and support the emergence of Phase 3, not only through the widely available Phase 2 tools for control, but also through the specific tools which reliably support the Phase 3 transition to natural Self-regulation. One of the important assets of the OI program, and all OI Expert Master Classes, is access to complete demonstration sessions. 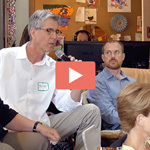 Nearly all of these demo sessions are then fully dissected, showing subtle elements of client behaviors and therapist interventions which become visible when pointed out in the video reviews. You will learn which client behaviors (somatic, emotional, cognitive, etc.) are most relevant and how they pertain to the OI Clinical Protocol maps. awareness to my life I had not considered possible. of the organic intelligence in myself and the Beings I serve. I HIGHLY recommend the course. You will not be disappointed! This Master Class introduces you to a deeper understanding of associative learning and conditioning paradigms. In particular, OI works extensively with “state-specific memory and learning.” One’s associative networks consist of stored elements of experience clustered (retrievable) according to similarities. Key criteria for clustering include environmental cues (impressions from the sensorium, the 5 senses), nervous system states (e.g., orientation, fight, flight, freeze, or rest and digest), and related intensity/arousal levels. In addition, OI points to human beings as exquisite “chrono-biological beings” — so that time (time of day, season, year, etc.) is another organizing criterion for clustering. Thus, like a constellation, the nodes of the associative network consist of numerous elements which are essentially retrieval cues. Once a threshold level of retrieval cues is stimulated, the “constellation” (the “trauma” stack) becomes apparent and available for work. This concept means that the experience of memory mostly occurs not as “explicit” content or narrative, but as more or less non-conscious feeling states and impulses, especially along the approach-avoidance continuum. Organic Intelligence, with its “Implicit Exposure” OI Clinical Protocol, requires mastery of state evocation. That is, practitioners learn how their behaviors — verbal and non-verbal — evoke, inhibit, reinforce, or potentiate various states, including alternating states of acceleration-deceleration, excitation-relaxation, and disinhibition-inhibition. In order to work well with complexes, a free association paradigm must be enlisted so that the therapist can see and interact with the native patterns of associated states. These patterned states inevitably show themselves through the content which arises spontaneously, and which must, of course, represent, reflect, and reveal those underlying physiological state patterns. OI teaches how to NOT work with “trauma.” Instead, OI shows how an entire complex can be “pinged” or stimulated by working through the free association method. Using implicit state tracking, most “traumas” in a complex’s “stack” can be addressed at the non-conscious level — where they belong! The OI Clinical Protocol, then, includes the therapist’s subtle evocation of non-conscious, implicit associations, which allows a more complete stimulation of the network, but without the unnecessary intensity associated with explicit traumatic content. As the system gains facility in processing intensity, higher intensity content will be evoked in a Phase 3 context for naturally increasing threshold levels — i.e., successively higher levels of intensity will be organismically processed without intentional management from the client’s conscious effort. To understand the First 30 Seconds of a session, you need to understand the fractal nature of the natural world and how this applies to trauma work. The term “fractal” was coined in 1975 by Benoit Mandelbrot and reflects how nature generates form through a process of reiteration of self-similarity. A tree is a classic example, where the trunk branches, and then those branches branch into limbs, which branch into twigs, which branch into leaves, the veins of which are branched, etc. OI recognizes that these fractal forms show up from the very beginning of a session, even in the first 30 seconds, and teaches you how to incorporate this knowledge into your work. The Holographic Blue is the larger resource that provides the map for the unfolding of the session. It is also a fractal form and OI practitioners learn to recognize this as a larger form of the smaller “Blues” that arise. OI provides the critical skill of “Pouncing on Blue” — recognizing and reinforcing awareness of inherent resources — which leads to the arising and stabilization of the Holographic Blue. This “Blue” may be a topic of conversation, a dream, clothing/jewelry, etc., and is a resource representing the map of the unfolding of the entire “Complex du Jour.” Our client’s Complex du Jour is the complex of the day, which reflects and includes the issues that are in queue for the client in the moment and may be expressed unconsciously. So, for instance, a person may dream of being swallowed by a shark — but find it unexpectedly peaceful. In other words, the dream shows us the Holographic Blue, the map — what needs to happen, and what needs to be integrated — for the Complex to be resolved. In this case, it could be the surrendering to unconscious, instinctual wisdom that arises from one’s depths. Once a client has moved from Phase 1 into Phase 2 or 3, we expect that the underlying organismic agenda to show up in what OI calls the “Complex du Jour.” Organic Intelligence teaches that the client’s system has a unique task, problem or “complex” to address in a given session and teaches how this Complex is co-discovered by practitioner and client together. With practice, OI practitioners can find that the Complex will often show its theme and content within the first 30 seconds of the therapeutic encounter. The entirety of the client’s presentation must be observed, including verbal and non-verbal behaviors as well as symbolic representations in clothing choice, jewelry, hairstyle, recent events, etc. The presentation of the Complex du Jour is a fractal reflection of the even larger Complex. For instance, a worn pendant is explored, which belonged to a grandmother who was an immigrant to the US, and represents a Complex in relation to unclaimed or suppressed matriarchal lineage and spiritual authority in the client. Likewise, the client may find herself talking about a recent movie in which the female protagonist learns from an older female mentor. Positive psychology and existential psychology are foundational for setting appropriate initial conditions, accessing the Holographic Blue, and working with the Complex du Jour. The framework of positive psychology primes the practitioner with the expectation that there will be inevitable, but often subtle, signs of organismic self-organization. Existential psychology, which emphasizes questions of ultimate meaning and value, is important for reinforcing clients’ larger motivations. This means finding not only what the client does NOT want (they all know that one), but what they really DO want—in the deepest sense. This connection to motivation — a wish or ‘wanting’ — is borne of the exploration and sharing of what really matters, of what is most deeply important to the client in the places of where emotion has survived intact from the freezing trend of stagnation. Clients are then situated in the ideal motivational context for both moving toward their desired future and away from that which they wish to leave behind. Our understanding of fractals is especially applicable to intergenerational trauma work. As OI predicts, the reiteration of intergenerational trauma is accompanied by an equal portion of intergenerational resource. This course examines the theory and practice of OI in this important dimension of Red (challenge) & Blue (resource). Current research suggests that trauma can affect us at the genetic level, passing on information through our DNA. Intergenerational traumatic effects, then, must be considered and the importance of early resolution has significance not only for oneself, but for future generations. This is a potential source of motivation for your clients and can bring a new level of meaning to their work. OI teaches that aboriginal cultures and their ways provide resources crucial to our wellbeing. The current social and geological epoch, the “Anthropocene,” is the period of human evolution which OI calls “the age of discontinuity.” We trace the beginning of this trajectory for our species to the beginning of the domestication of plants and animals about 15,000 years ago. This development led to the end of the long human history as hunter gatherers and enabled the growth of larger population centers, land ownership, etc. OI describes the age of discontinuity primarily in terms of polarization, and we offer solutions to polarization at the individual, group, and societal levels. Steve Hoskinson suggests: “What is natural doesn’t come naturally anymore.” As our species has largely lost its tribal arrangement, one of the discontinuities has been the loss of the experience of being embedded — the interconnection with extended family, with life-ways, with a unifying tribal mythology and ancestry. One of the resources of Organic Intelligence is the possibility of recovering the felt experience of continuity in the tree of life with one’s forebears. Many original cultures actively honor their ancestry, and certainly call upon that resource in times of need. At timely, attuned moments in treatment, the support for clients’ own recovery of the experience of ancestral continuity and support can be a vital link for their self-recovery. Another way to understand the age of discontinuity is as the “age of dissociation.” As such, we see a greater incidence of disconnection, including what the psychodynamic field would call more primitive defenses, such as projection and denial. OI sees the psychic function of projection, however, as a potential tool of self-reintegration. That is, by understanding projection, clients can begin to see aspects of their experience, previously too intense or too ego-dystonic, from a “safe distance”— e.g. projected into someone else! From this awareness, the client can appropriately begin to relate to their experience without undue intensity, instead of in a way that would likely be overwhelming. 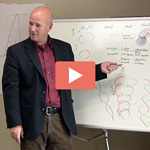 This course provides an overview of the systems approach of Organic Intelligence. Since the early 1990’s, OI founder Steve Hoskinson has been steeped in the frameworks of complex systems and complexity science, which are essential for understanding therapeutic change. Understanding fractal form is key. Once you are able to consistently establish the initial conditions (cf. OIX 1 – Shifting Paradigms), recognize the “Holographic Blue” and fractal forms as they appear in the first 30 seconds of a session (cf. OIX 5 – The First 30 Seconds), and begin to identify the “Complex du Jour” (cf. OIX 4 – Multiple Trauma Vortex), then you begin to see the reliable functioning of a system in Phase 3. Phase 3 is an organizing phase in which the fractal form of organismic functioning occurs, and re-occurs. By seeing the repetition of similar cycles, which include cycles of affect, meaning, sensation, imagery, etc., you will learn to work in the rhythm of that reiteration, supporting its trend toward increasing rhythmicity, organization and self-collaboration. Good OI work means the ability to recognize when your client’s system moves into Phase 3, where true self-organization happens, organically. This understanding stands in contradistinction to nearly the entire field of therapy, which focuses on doing: what the client can do to self soothe, etc, what insight the client can have through cognitive analysis, etc. The mechanisms of successful therapy involve learning Complexity Science. To date, the failure to understand and use the existing and established research of complexity science is the major gap between current modalities and OI. It is why OI can provide the missing link, a fully comprehensive clinical protocol based in a solid scientific framework which consistently offers successful intervention strategies. Key terms like differentiation, positive vs negative reinforcement, evento-centrism, self-criticality, chaos, and mindfulness are discussed and defined in the context of Organic Intelligence. The OI Clinical Protocol teaches the necessity of working within a structured “Free Association Conversation.” This technique allows the form of the mind and nervous system to reveal itself, including the complexes and fixations, and especially the deep resources lying dormant awaiting recognition and integration. OI recognizes “trauma” as unintegrated resource. By integrating the client’s dormant, individually relevant resources we provide trauma healing in unprecedented ways. OI Expert is an advanced level program for psychologists, psychiatrists, marriage & family therapists, social workers, professional counselors, nurses, bodyworkers, energy healers, art therapists, movement therapists, coaches, trainers and educators, clergy, mindfulness coaches, spiritual teachers, and individuals seeking personal growth through professional development. 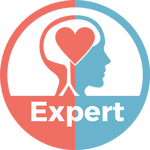 OI Expert is backed by a 30-Day Money Back Guarantee. Professionals around the globe are enjoying the depth of wisdom and the practical therapeutic tools of Organic Intelligence. We want you to be happy with your learning and spread the word about OI; therefore, we offer a 30-day money back guarantee. If for any reason you are not satisfied with OI Expert, we will fully refund your tuition. No questions asked. A full refund is available for 30 days after you enroll. This refund applies to the first 30 days of the first OI Expert Master Class that you enroll in and does not apply to subsequent OI Expert Master Classes. No full or partial refunds will be issued after the first 30 days.